Jason Anthony has been writing about Antarctica for years. He is the author of Hoosh: Roast Penguin, Scurvy Day, and Other Stories of Antarctic Cuisine, which was published recently by the University of Nebraska Press. 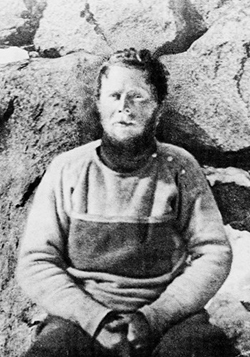 Previous publications of his Antarctic essays include Orion, the Virginia Quarterly Review, The Best American Travel Writing 2007, and a Notable Essay listing in Best American Essays 2006. He worked various jobs — garbageman, fuels specialist, cargo handler, skiway groomer — in Antarctica for most of a decade as part of the United States Antarctic Program.